Summer is running out, which means skateboards only have about eight weeks left to roll around the city, while snowboarders are chomping at the bits to get back out on the slopes once the first storms hit in October. But whichever of the two extreme sports you love to do, the local shops are working hard to get you what you need year round. And today we look at one in particular that's become a favorite for locals and a trusted name to visitors. --- Salty Peaks has been doing its best to provide boarders of every type the best rides and equipment they can find. Opening in 1987 at the height of the local snowboard ban and the start of the street-skating era, the shop earned its reputation for supporting both sports by promoting events and stocking trusted brands, helping in their own way to escalate local popularity and keep those headed up the hills or down the ramps well supplied. I got a chance to chat with owner Dennis Nazari about his time boarding, starting the store and the changes they've gone through over the years, plus his thoughts on both sports and where they're headed. Along with some pictures of the place for you to check out. Gavin: Hey Dennis! First off, tell us a little bit about yourself. Dennis: Not sure what you want to know, but I work hard and i play hard try to do the right thing, and I like to educate people. Gavin: How did you first take an interest in snowboarding? Dennis: My family moved out here from the California coast and a surfer mag had Burton adds that got me stoked on snowboarding. I bought one without ever seeing anyone do it and first day was hucking myself off jumps, trial and error self-taught myself how to ride. Spent a lot of time hiking the Flagstaff Bowl area or riding Alta. Gavin: What was it like for you getting into the sport and learning to do it? Dennis: There were no instructors, nobody had really heard about snowboards and in Utah if someone was in the know it was called “Wintersticking” or "Stickin", mainly because Demitri Milovich had been promoting it here under his brand Winterstick. Gavin: How did the idea come around to start up Salty Peaks? Dennis: When I learned to snowboard, Alta was the only resort that allowed snowboarding. Ironic that I have pegged them as being the last resort in the states to allow snowboarding , but on Christmas day 1984 Alta banned snowboarding without notice. I rode the day before the ban and experienced first hand the hatred Alta has for snowboarders, at that time snowboarding was in a growth phase but no resorts in Utah allowed them. So I started a program called the Southwestern Surfskiers Association... this is before the word snowboarding was born. Anyway, I contacted all the resorts in the state trying to get snowboards on the hill by addressing the resorts concerns for allowing boards. I implemented safety standards and equipment guidelines and offered certification classes for riders to get a "certification card". This card allowed them to buy a lift ticket a certification like a scuba certification, that you showed you could get on and off the chair lift, you could turn left right and stop on a snowboard and you were rated on how well you could do these tasks. On top of that I implemented equipment guidelines that said your board had to have metal edges, have a secure binding system and a runaway leash. After getting the first resort, Beaver Mountain in Logan, open to boarding thoughts quickly turned to supplying the masses of snowboarders, I envisioned flocking to the slopes. So I started working on a plan to open Utah's first snowboard specialty shop by 1987. I had Brighton and Park West (now The Canyons) allowing boards and with the help of Drew Hicken and Rob VanLeween amongst others and we started the shop. We took a lot of photos but never looked back. Gavin: At the time, who else did you have involved with the project and what was it like formulating what the shop would be like? Dennis: At the time I started the shop I was several years into running my first business, a radio dispatched bicycle delivery company called Pedal Express. I did not have time to be in two places at once, so I was looking for a partner to be the face of the shop and be the head honcho of day to day operations. The first guy I hired was Jeff Wright, but he had a heart condition that kept him from excelling at what was needed to get the shop off the ground, so I found myself doing double time trying to run both businesses. Later I hired Hicken to be a manager and put in sweat equity, and years later I gave him stock in the company which ended up being a huge mistake, but a crew of dedicated friends and fellow riders came together to build, promote, and expand Salty Peaks from a original small store and eight rider team to a 10,000 square foot home that at one time had as many as 50 sponsored riders on the snowboard team. We have since scaled the teams down to a more manageable crew but still use the shop as a stepping stone for local riders to get exposure and free gear through shop sponsorship. Gavin: What made you choose the 3300 South location as opposed to something at an actual resort? Dennis: Living in the area and looking for a central location to all resorts was key. At the time Park West was the only place that allowed snowboards but I planned on getting others open. So 33rd is centrally located between Parleys and Cottonwood Canyons. The year we opened the shop I got a confirmation from Brighton's Randy Doyle that they were going to allow them on the Milly side only, so the 33rd location was a no-brainer. 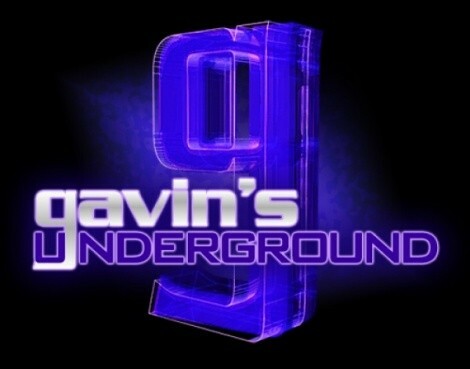 Gavin: What was it like for you getting set up and purchasing equipment that you knew people would want? Dennis: In the early days we carried every brand there was all six or seven of them, but as time has gone on we have always supported the core snowboard brands and have never carried a ski brand like Rossignol, K2, Soloman or other companies that jumped on the snowboard bandwagon. We also have more support for brands that are made in America and make quality boards and gear. We have the kind of shop that brands want to be in so we pretty much get our pick of the brands and only carry the best ones we look at product, price and value, warranty support team support and overall company reputation. Gavin: You first opened the store in late 1987. What was that first year open like for you, both positive and negative? Dennis: Positive... it was an overwhelming sense of acceptance and support from the growing snowboard community, the negative was the crash course in merchandising in a small space which forced us to quickly expand and take risks we were not sure would be successful or affordable. Gavin: For a while you catered mainly to snowboarding, what made you include skateboarding as an equal part of the store? Dennis: Skateboarding was always a area of support but we were restrained by finances in the beginning. I went the first year living on Ramen noddles and not taking a paycheck. Skating was in a similar situation as snowboarding in the fact that all the skate parks were closed and filled in with dirt due to liability exposure no one wanted to get sued. Salty Peaks was not funded with anyone's help, So I always had to watch the bottom line. We used profits from snowboards to buy skate gear and build ramps. We blew $2500 in 1989 to build the largest skate ramp in Utah. At the time and had a semi-truck haul it to Saltair resort for a huge 4th Of July demo gig that went off. Then we got the okay to leave it there for $100 a month. The whole crew was stoked we had a place to skate, but a week after the event a wind storm tossed it around and broke it in to splinters, so it was a total loss. But we still found ourselves catering to the vert-ramp skaters and street skaters carrying everything we could to support skateboarding . After the Saltair disaster we built a huge ramp at the sports mall, but it was closed to the public and saw limited use soon after that. Mrs. C's Skatepark opened and we threw our support behind that, years later we did the same thing for longboards being the first shop in Utah to stock them, which helped the explosive growth and coolness factor that has become longboarding. Gavin: Over the years there have been dozens of shops that have come and gone in the valley. What's helped keep you alive and running over the years? Dennis: We have worked very hard to get out of debt, buy our own buildings and focus on customer service and product selection. We have always had to watch our expenses and try to sell as much stuff as we can. That's why we appreciate everyone that spends money with us. It all goes right back into to local economy or the snow and skate communities. To many new shops get overextended and find out it is not easy to run a shop, it takes a lot of work and you don't always make money at it. We have had at least 5 ex-employees start shops over the years, and even with the lessons learned at Salty Peaks they all failed. The only shops outside of ours to show any longevity are Blindside and Milo who have both seen ownership changes over the years. Gavin: When and why did you first start incorporating teams to sell your products? And who do you currently have riding for you these days? Dennis: The team came before the shop, at the time myself and several friends that later became the first Salty Peaks team were traveling to competitions on our own dime. So one of the other reasons the shop was created to help support the travel, hotel and entry fees not covered by sponsors. We have some rippers on the different teams, most notable for Mountainboarding we have three of the top ten riders in America. They took 1st-3rd place at the Widowmaker Hill Climb event in July. For snowboarding we have local heroes Ted Borland, Dave King and Sky Seabrook amongst others. Shannon Yates just had a ripping season winning all but one of the North Face Extreme contests, crowning her as the women's overall winner for the season, and she killed it at the King Of The Hill contest in Valdez, Alaska. We support local skaters like Isah Beh, K-Fed, Kevin Hutson and Rob Peterson, you can check out the complete list at our website. We will most likely be adding to the snowteam for the 2010/2011 season. Gavin: With the changes over the years to equipment and style, how is it for you to keep your techs up-to-date and keep up with the challenge of making sure the quality meets what the pros have? Dennis: Because everyone at the shop rides its not hard top keep them up-to-date. They pretty much do it on their own but because we are so big on product knowledge and customer service, there is some intense training and lots of product clinics. Its not easy and we have some that can't cut it, and we always seem to loose a couple each year, but our employees have gone on to take prominent positions in the industry. Everything from reps to team manager to sales manager and graphics guys. We have even had ex-Salty employees go on to start successful companies like Coal and Capita. Today ex-Salty employees from over the years are helping to run and influence the industry from all over the map. Gavin: Where did the idea come from to start the Utah snowboard museum, and how did you go about collecting and putting it together? Dennis: I have always saved most of my old boards, except the ones I sold to help get the shop off the ground, so there has always been an interest in old boards. I have been documenting and preserving snowboard history since the beginning, always grabbing contest posters, taking a lot of photos, and saving boards that often times were donated or given to the cause. Today we can boast the worlds largest collection of vintage board under one roof, with 1084 vintage boards on display and always looking for more. If you know anyone with old snow or skate stuff, give me a ring! We pay top dollar for the right stuff or stuff we don't have yet. Gavin: I know for years you fought with resorts to allow snowboards on the slopes while also selling tickets to those very spots. What has your relationship as a company been like with them over the years? Dennis: In the early days I was a one man army running the Southwest Surfskiers Association, trying to get resorts to open to snowboarding. In more recent years we have worked hard to foster close relationships with all the resorts, regardless of their support of snowboarding. We sell tickets to all the local resorts that allow snowboarding, because if the resorts are not doing good we are not doing good. You can read more on our history page at the website the full story. So we try to help out however we can, we train everyone at Salty Peaks so that there are no bad resorts in Utah, and to find the good in all of them as they each have their claim to fame of features. And Utah's worst resort (if there was one) hands down beats all the resorts back east! Gavin: You've received a lot of accolades and awards over the nearly 23 years of business. What do you attribute the success to during that time? Gavin: A little state-wide, what's your opinion on the way skateboarding is handled by the city and state? And is there anything you wish you could change? Dennis: I think things are good but can always be better. Over the years the availability of the parks is huge, it is important for all skaters to respect the parks and support the parks in any way they can from donations to helping to pick up garbage even if its not yours. At the local secret spots, rip it 'til you get busted, but if they catch you be cool and cooperative. It will go a long way in that officer's attitude the next time he's dealing with a skater. They always turn into dicks when you make things hard on them, I think that's one thing I would change across the nation is to decriminalize skateboarding, I would love to see a skate park in Canyon Rim Park. Gavin: In the same vein, what's your take on how the resorts have adapted to snowboarding over the years, and are there any aspects you wish they'd incorporate? Dennis: Since Utah has a dual personality when it comes to snowboarding, one being the "Hollywood" of snowboarding the other being the snowboard '"Hater" capital of the world (meaning that of all the resorts in the country that have not allowed snowboards) the majority have always been in Utah. So getting the last three resorts to allow boards would be huge. Two are in Utah Deer Valley and Alta, however it is kinda fun to have a place to poach. I think that resorts like Park City have really stepped up since hosting the Olympic events to continue the procurement of some of the best features. Around between PC and The Canyons they have the Park Pipe clientele on lock down. All the resorts have a favorable outlook, even though some resorts like Solitude still have a standoffish attitude towards snowboarders. Gavin: Do you see any major changes on the horizon for snowboarding or skateboarding? Dennis: I don't know about major changes, snowboarding seems to be on a steady growth pattern, but skateboarding seams to be in a slump despite the number of skateparks in the state. There are more major events making stops in Utah like the Dew Tour, SuperPipe, and Grand Prix which helps everyone in the industry. Gavin: Locally we've seen some shops close up over the past year, most recently Lenitech. What's your take on being a business in this economy and staying afloat in bad times? Dennis: Like I tell everyone, get out of debt! Debt to the bank, to the partners, to the suppliers, everyone! Cash is king right now and those who don't pay their bills don't get shipped, and that is the start of the end. We have never not paid a legit bill and have open communications with all the manufactures. Partnerships are key to survival, a lot of the reps will bury new shops in gear they can't sell, then they can't pay bills and end up closing the doors, usually withing a couple years of opening. Gavin: What's your take, both good and bad, on the way "extreme sports" are presented nowadays with the X-Games and time on ESPN? Dennis: The good is the exposure and growth potential it provides, I wish they had that kind of money and exposure in contests when I was still competing. But on the flip side it seams to over commercialize the sports. It seems to be a necessary evil. Gavin: What can we expect from both yourself and the shop over the rest of the year? Dennis: Being late August we are going cautiously into the snow season with a plan to work on team reorganization, stocking the right gear and focusing on customer service. As far as the shop goes we already have most of the 2011 gear in-store now and are simply waiting for the snow. We are working on some specialty boards to be produced with Libtech and Never Summer, they have the best reverse camber and banana tech out there and we see both of them continuing to grow. And we're constantly working on our website. Dennis: Yeah, I never seem to say it enough, but thanks to all the hardworking crew at Salty Peaks, past and present. And team riders past and present. Thanks to everyone that has ever spent a penny at Salty Peaks, you are the reason we are still in business! All in all its the stoke of snowboarding and skateboarding that has us in this industry. I would not be doing what I do if I did not love it.